Phone: You can call us to make an appointment and find out if you qualify. We will let you know what documents to bring with you. E-Mail: You can also e-mail us to request an appointment at MarinCountyWIC@marincounty.org. 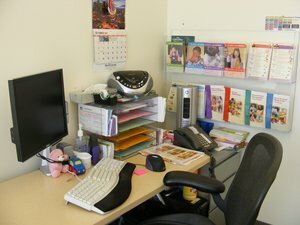 Walk-in: You can stop by the Marin WIC Main Location to request an appointment. Online: You can take the online WIC Eligibility Assessment to see if you could qualify. The online screening tool is just a preliminary assessment. Only Marin County WIC staff can find out if you qualify for WIC services. You will still need to call and make an appointment after completing the online tool. What if it says I don't qualify? Even if the online tool says that you are not eligible, you can still call our office and make an appointment to find out if you qualify. This online tool is only a preliminary assessment - only Local WIC Agency staff can determine if you qualify for WIC services. Review the checklist for what to bring with you. Proof of Identity: Any official document that says who you are. Proof of Income: If you do not receive Medi-Cal or Food Stamps, please bring proof of your total gross family income for at least one full current month. Proof of Address: Bring a current utility bill, rent receipt or mail you recently received at your home. If you are homeless and cannot provide proof of address, you may still be eligible for WIC. 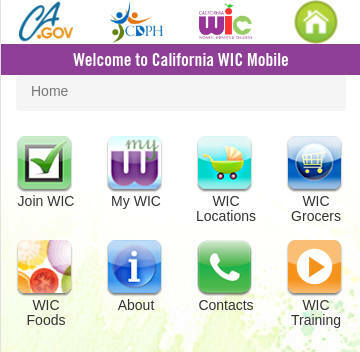 Visit the WIC Mobile website for easy access to WIC information on your smartphone. How Long Can You Get WIC?